It’s essential that Caroline Lucas is re-elected to Westminster in 2015; it’s essential for the people of Brighton Pavilion; but it’s also essential for all of us who want to make sure that Green policies, the only kind of policies that are designed for the Common Good, impact on the Westminster agenda. Read on to see why and how you can help. You probably don’t need reminding, either, that with the ‘first past the post’ electoral system to achieve this, we have a mountain to climb. But we do have things to cheer about: and there’s nothing more important on the list of things we have to cheer about than the fact that in Caroline Lucas, MP, we actually do have one Green MP; and more to the point: we have a fantastic MP! An MP who is working hard for her constituents in Brighton Pavilion, but who is also working hard to bring Green policy to the discussion of the House of Commons. Early Day Motions (despite Bridgend MP, Madeleine Moon refusing to have anything to do with them) are an important way to put issues on the agenda. Have a look at the Private Members Bill she has put forward (first reading was on 7 July 2014); it has had its second reading; it may even get passed during this Parliament. Why is it at stake? 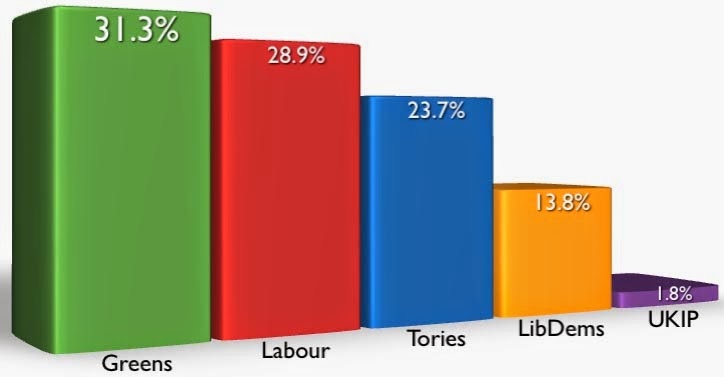 And because it’s so close, and because for Labour a Green MP is a real thorn in the side (because that allows us to show the voting public that the Green Party is the only real voice of the Left, the only real voice for the Common Good), Labour have made Brighton Pavilion one of its top targets to win. But it is only one of their top targets to win. For us, it is the top target to win again. 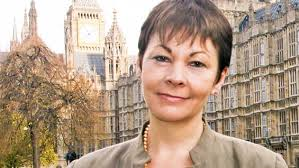 So all of us – irrespective of the work we will have to and want to do in our own constituencies – will need to support the re-election of Caroline Lucas as MP for Brighton Pavilion. The easiest way to help is to contribute to the campaign financially; and whatever else you might want to do, please consider this, and consider it urgently. The sooner the campaign can raise funds, the sooner they can be allocated and spent. And don’t forget, that nearer the time of the General Election spending is severely limited. So early spending really counts. We will also be looking to organise groups to go down and help with canvassing and anything else that needs doing nearer the time. watch this space.